ore Eva Gordon as promised. All of these lovelies are not mine—but they might be soon. 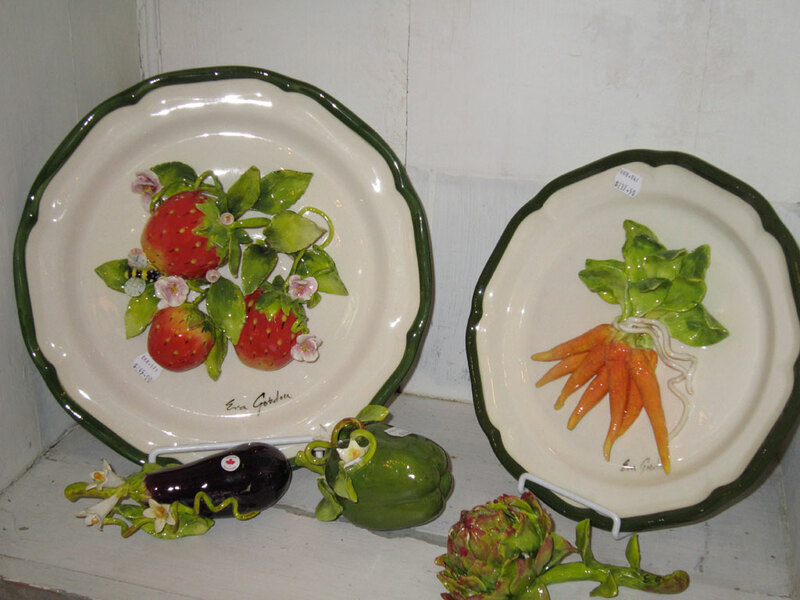 I thought you might like to see some of her other pieces—especially the Plates. 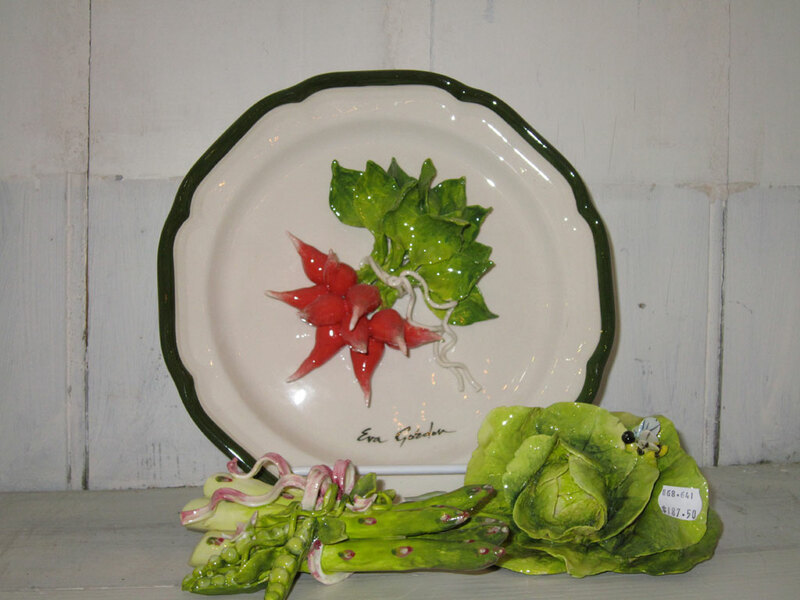 Her use of color is so striking and the vegetable combination plates just the best. 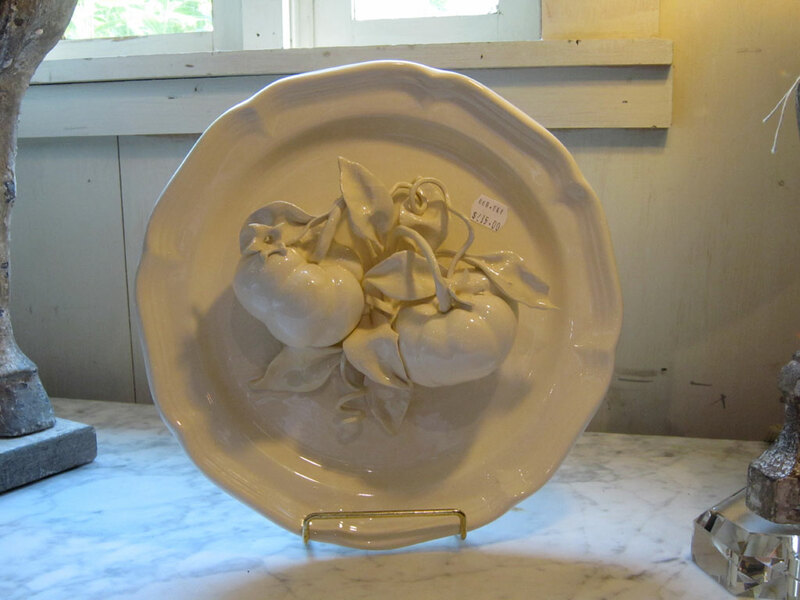 New to her designs are the all White Plates. 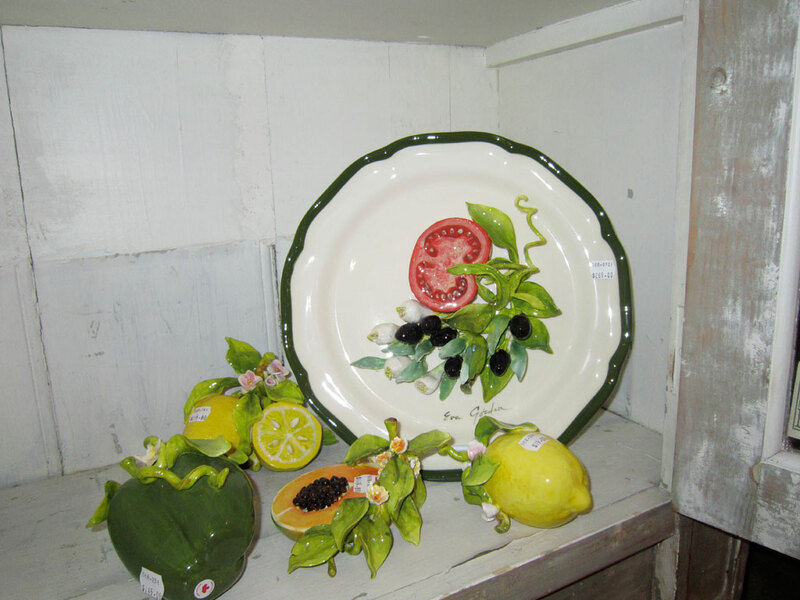 These lend themselves to any decor or color palate. My friend Jenny is thinking about placing them over her range—how beautiful would that be. 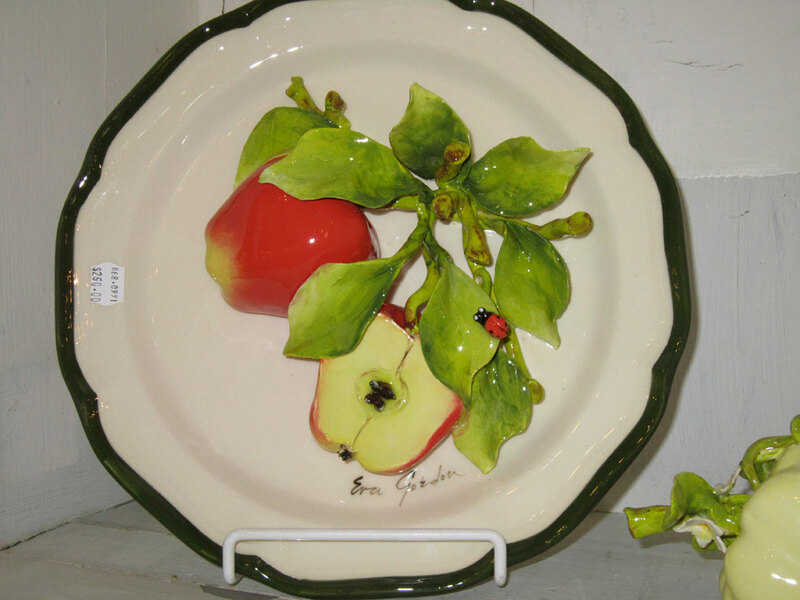 Large Apple Plate would look Great hanging over a Door—Love the Ladybug! 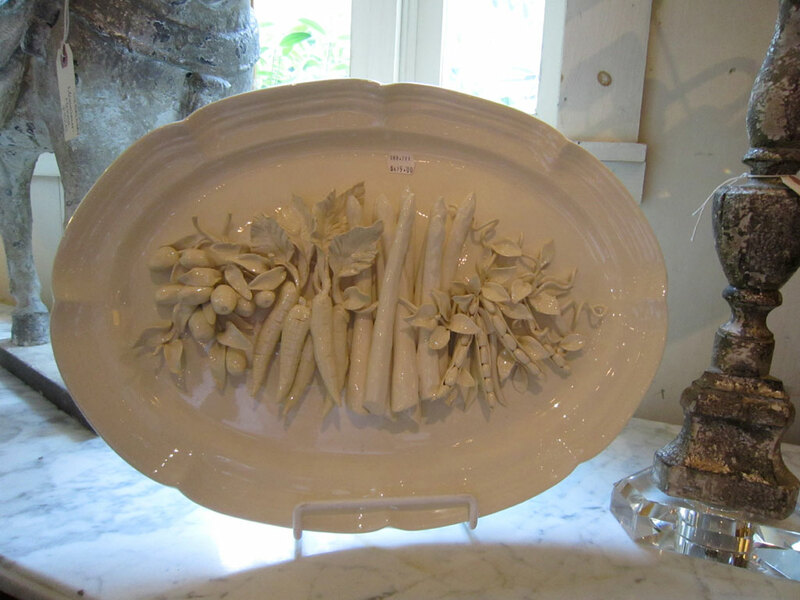 All of these lovelies are available for your enjoyment at one of my favorite stores, Boxwoods Garden and Gifts in Atlanta, Georgia. Hope you find one just right for your Home. Just delighted to discover your wonderful blog…took a quick run thru several posts…definitely coming back when I have more time, but for now I am smitten with these fruit pieces. 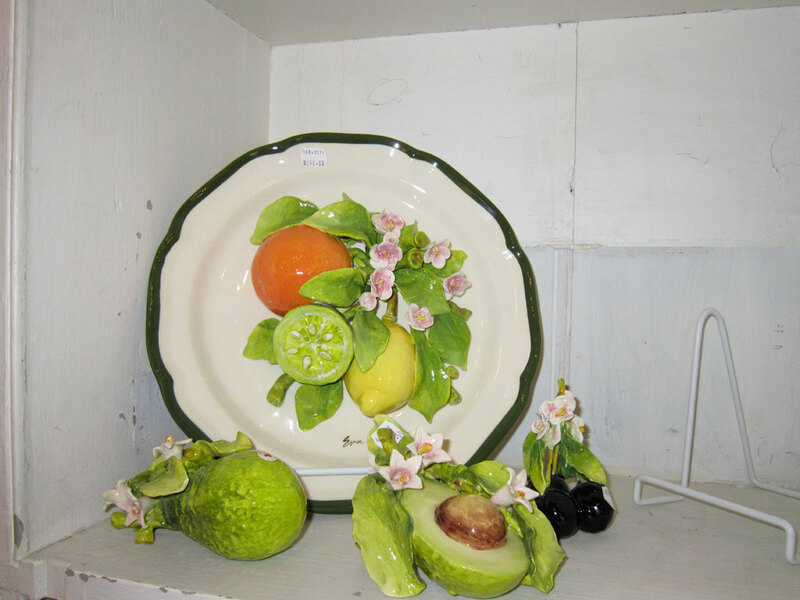 I have had a thing for decorative fruit for many years and these pieces and your collection are stunning. So happy you stopped by for a visit.